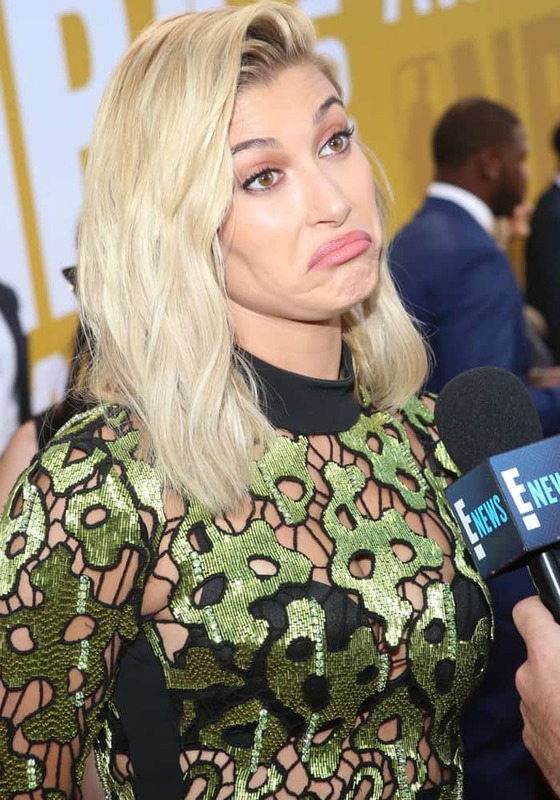 It looks to us like model Hailey Baldwin is trying to shed her did-she-or-did-she-not-date-Justin-Bieber dance with the media. The 20-year-old recently 2017 NBA Awards at Basketball City in New York solo, but took to a social media site to tease her connections with an athlete. Hailey Baldwin at the NBA Awards 2017 held at Basketball City in New York on June 26, 2017. Hailey sparkled in a cutout David Koma dress. We can see how Hailey took home her Maxim 100’s Hottest title. The model sparkled in a metallic cutout dress by David Koma, layering it over appropriate undergarments to keep the ensemble sultry instead of tacky. 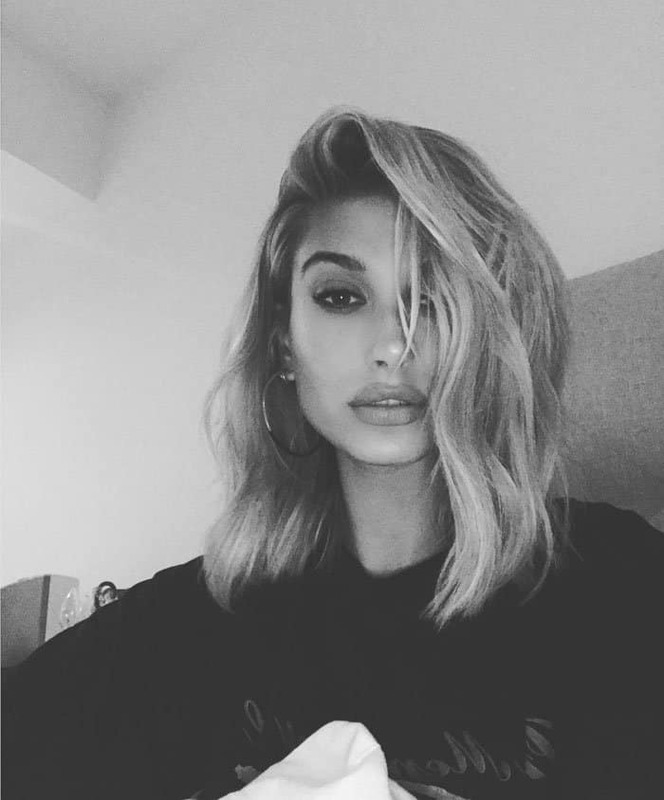 Hailey wore her statement hoop earrings, this time picking out a pair from Vita Fede before finishing her look with a pair of Charlotte Olympia “Paloma” pumps in black satin. The young model towers in a pair of Charlotte Olympia “Paloma” pumps. Hailey pauses to give a short interview with E! News. Or, maybe it was just her very tall hairstylist? In the clip, a mystery man held products and tousled Hailey’s hair, but when she asked if he was an NBA player, he replied affirmatively. Hailey takes a selfie of her post-party look. The “Paloma” pumps have long since flown off the shelves. 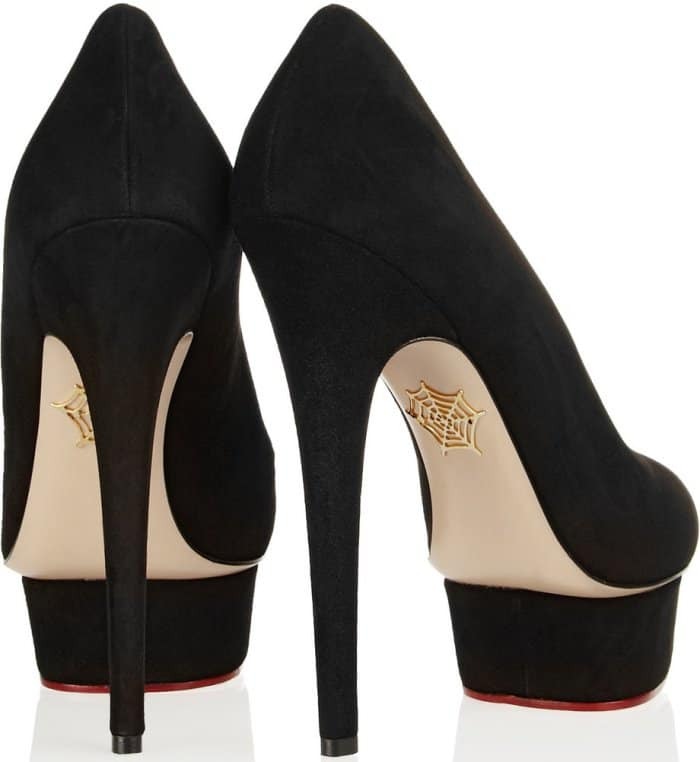 Grab the Charlotte Olympia “Dolly” pumps instead at Net-A-Porter.